1. I got a new job!! YES Framed is still staying busy and it didn't die haha So my new job is writing blog posts for Just Artifacts. I'm so excited because I can do this from home and blogging is my jam. One of my friends works there as a graphic designer so when she said they were looking for bloggers. I obviously jumped on that opportunity! It's doing something I already love doing so I am really excited to get started soon! I've been working on my photography game a lot lately so this is a great way to get lots of practice on that, too! 2. I decided to take a leap of faith and try to move away from using Etsy for my shop. Etsy takes 6.5% + .50 cents for every single transaction so I've decided to make my own website! 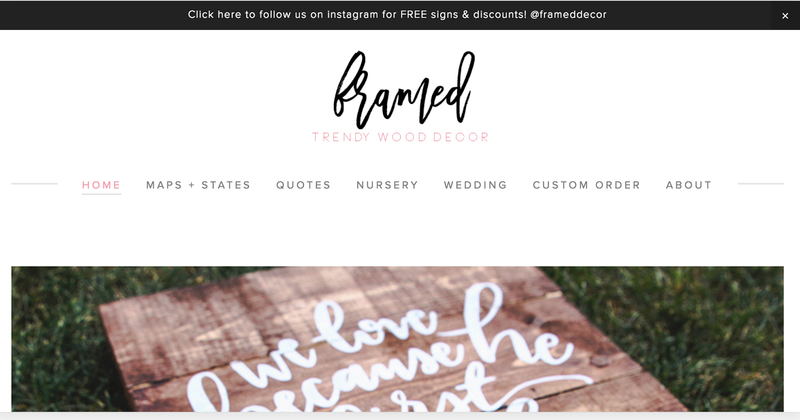 Using an ecommerce site is a lot of work to set up, but they take a SO MUCH LESS of your sales than Etsy and I think it makes Framed look more professional. So once that is up, I will post all about it, don't you worry. Here's a preview! 3. I have a boutique this weekend and I've been adding new designs like crazy! Here's some new ones that I am so excited about :) I also just signed up for a boutique in October that I want to have at least 500 signs for so... wish me luck!! haha Prep for that has begun and I'm hoping I can reach my goal before baby is born. 5. I've started nursery shopping! I keep wanting to buy clothes for days BUT it's hard to know what to get because I don't know how big/small she will be. So I've opted to spend all our $ on nursery items instead! This is the color scheme I am going with. Basically obsessed with this color scheme. I plan on making my own pillows because it's actually super easy to screen print (aka fabric paint with a stencil) them and I want to make that yarn thing, too! Congratulations on the new job!!!! I can't believe you're already five months!! Thank you! And seriously it is going by so quickly! Yay for being 5 months and for the new job girl!! I hate how Etsy takes so much $$ which makes some shop owners feel the need to jack up the price to cover their costs. Your ecommerce site looks great so far, can't wait to see the finished result! Holy cow girl, 500 signs, go you!! 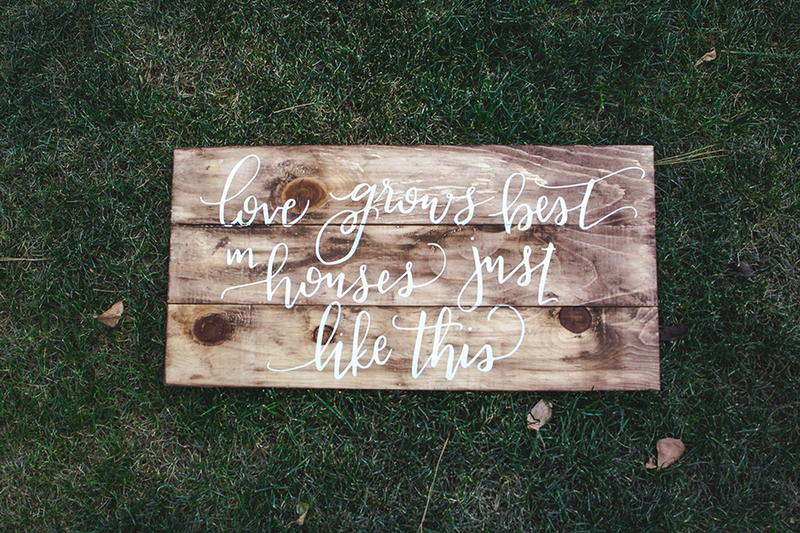 Also how adorable is your nursery inspiration, can't wait to see how that turns out :)! I feel ya on going fast but slow. Sometime I freak out thinking we only have 19 weeks left. Those pillows are adorable! Can't wait to see how yours turn out! You totally get it!! It's like fast when I think about it but August seems sooooo far away!! And thank you!! I saw you are beginning your nursery, too! I'm excited to see how you decorate :) The closet makeover was amazing! It's seriously going so fast/so slow at the same time haha I really hope the website works out!! eeee!! I am all about the simple nursery schemes! I did ours in grey and white and had subtle bits of blush pink. Nothing too crazy. I can't wait to see your pillows! That sounds so easy I had no idea?! Congrats on your new job! Sounds like you guys have a lot going on but everything is just kind of falling into place. Also, I had no idea Etsy takes that much from your sales... Kind of makes me never want to buy off Etsy again? I dig the new site, and you're right WAY more official and professional feeling! That nursery inspiration is ADORABLE! 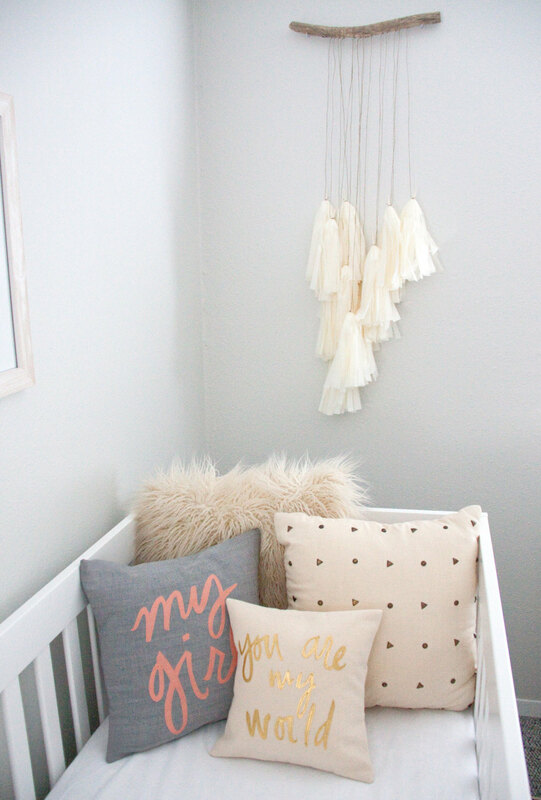 Love your nursery inspiration...looks so feminine and sweet! Congrats on the new job - that is so awesome!!! Cheers to your jobby, that is fabulous! And your signs are amazing as always. And that nursery inspiration is so wonderful. So feminine and whimsy. Thank you soooo much, girl!! :) I hope I can pull off decorating that nursery! Love your new signs and yay for the new job! Love the nursery inspiration-so pretty! So exciting about the new job! I'm sure you will be great at it :) Your framed website is looking great + I can't wait to check it out!! Congrats on the new job! That's so exciting. But more exciting are the baby kicks!!! Yay!!! And I love love love the color theme for the nursery. Beautiful. Thank you so much! And seriously, the kicks are my absolute favorite thing EVER! 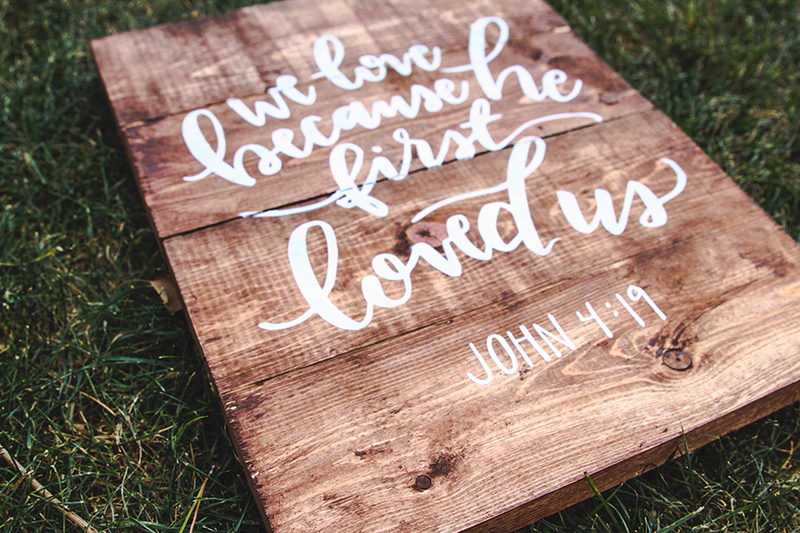 :) I cannot wait to see her nursery come together! yay for nursery shopping!! We have started too and it's so fun! I love your nursery inspo pic! Such pretty colors! And hooray for the new job. Go you! And congrats on starting your own website with Framed! That's such a good idea!